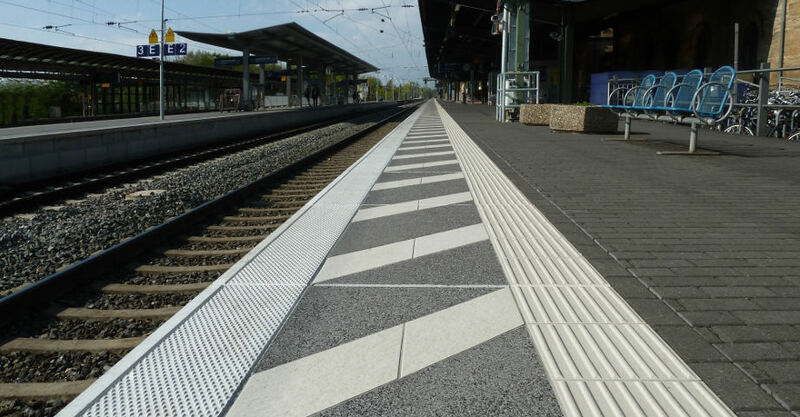 The new innovative modula® flex system is ideally suited for elevating conventional platforms with access levels that are too low, for surface renovation of ailing platforms and for retrofitting guide system for visually impaired persons or hazardous area crosshatching. 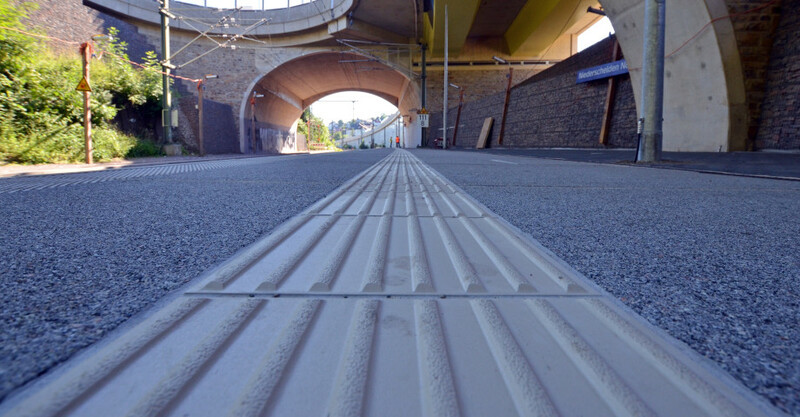 By using textile concrete, modula® flex platforms can be manufactured extremely slim in only 8 cm element thickness with a completely finished surface. 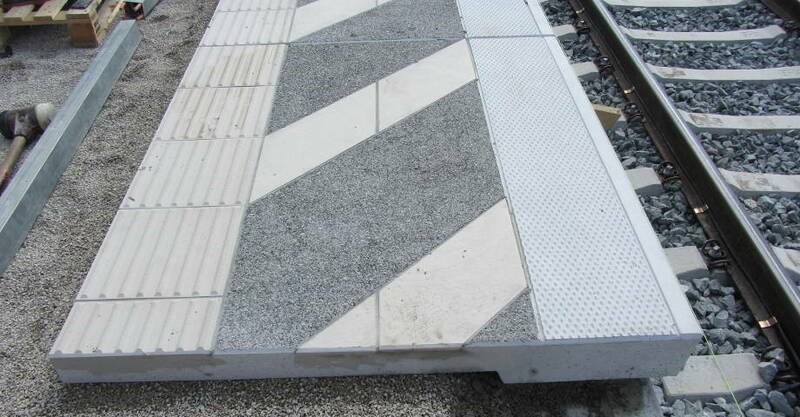 The flex-plate can be produced including a moulded cover stone (d up to 14 cm). This slim design saves resources and weight, which brings advantages during transport and assembly. Furthermore, due to the special reinforcement made of glass fibre textile, no earthing of the system is necessary. 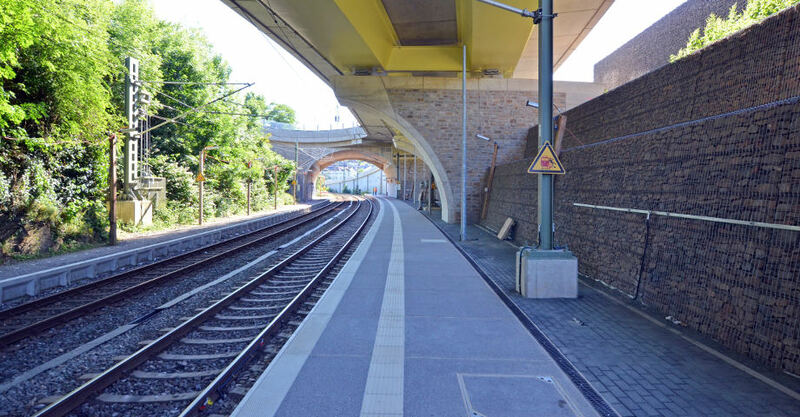 modula® flex panels can be laid, for example, in a mortar bed on the existing platform surface. As a rule, there are no costs for dismantling and disposing of the existing platform and quick recommissioning can be ensured. 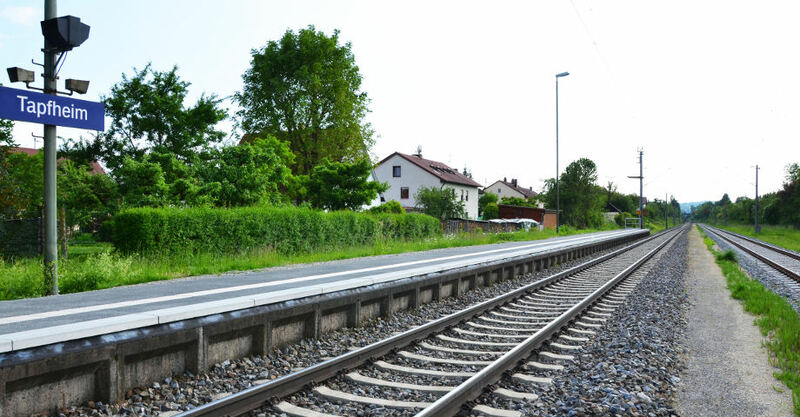 The elements are available in standard lengths of 1.35 m and with flexible widths of 1.20 - 3.00 m.
Reduction of project costs by saving safety and construction supervision times as well as operating times and construction site logistics. Durability of components because of very high freeze-thaw salt resistanc, weathering far below permissible limits. 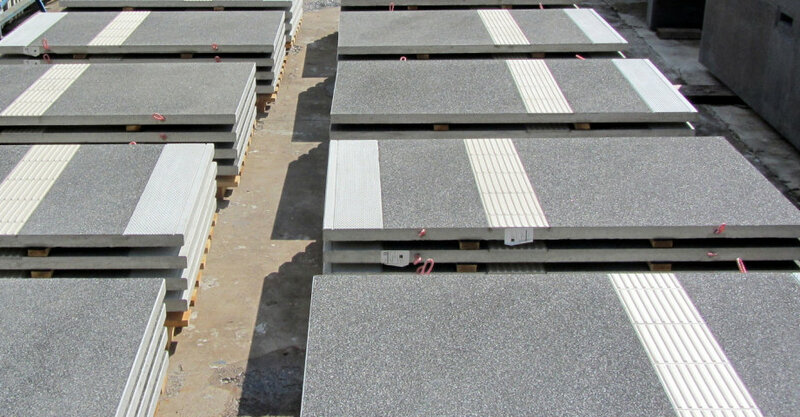 System rc platforms type modula® from Hering offer a higher degree of pre-fabrication, the factory quality guarantee, variety of design and construction variants for new constructions and renovation or changes of the embarking level.